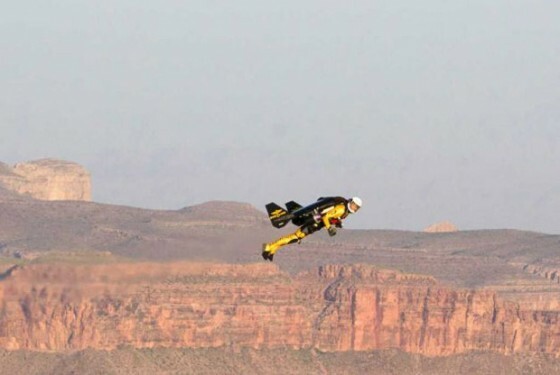 In his custom-built jet suit, Swiss adventurer Yves Rossy completed a dramatic flight over the Grand Canyon, one of the 28 Finalists in the New7Wonders of Nature campaign. The flight lasted some eight minutes, reaching heights of 70 metres above the canyon rim, before the “Jetman” parachuted to the ground. The daredevil pilot said that the flight over the western end of the Grand Canyon owned by the Hualapai Indian Reservation was one of the most memorable experiences of his entire life.